Payoneer’s Capital Advance helps you focus on growing your business by providing you an instant advance on upcoming earnings. You can use the extra cash on hand to increase inventory, pay and hire employees, diversify your product offerings, and much more. 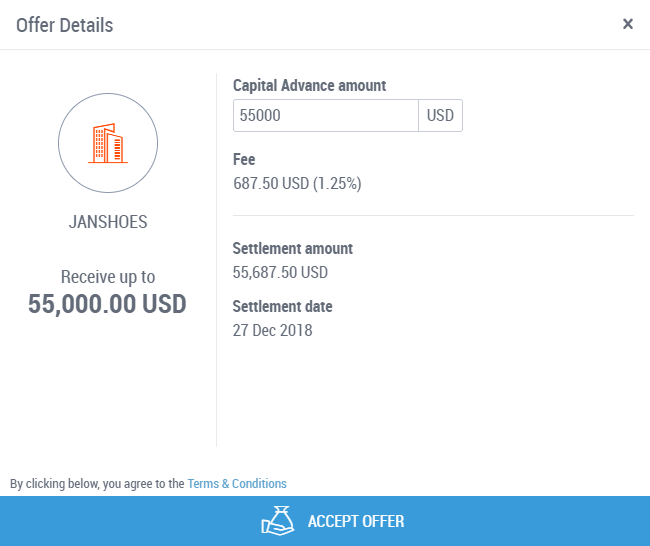 Currently, we offer Capital Advance funds to sellers with stores on the following marketplaces: Wish, Amazon, TopHatter. Amazon sellers can now get Capital Advance offers on both connected and unconnected stores! Tip: Connect all your Amazon stores to Store Manager to get premium offers for all your stores. Here’s how. All of your available Capital Advance offers appear in your Payoneer account. Simply choose the offers you want to accept. In addition, Payoneer will notify you by email when a Capital Advance offer is waiting. 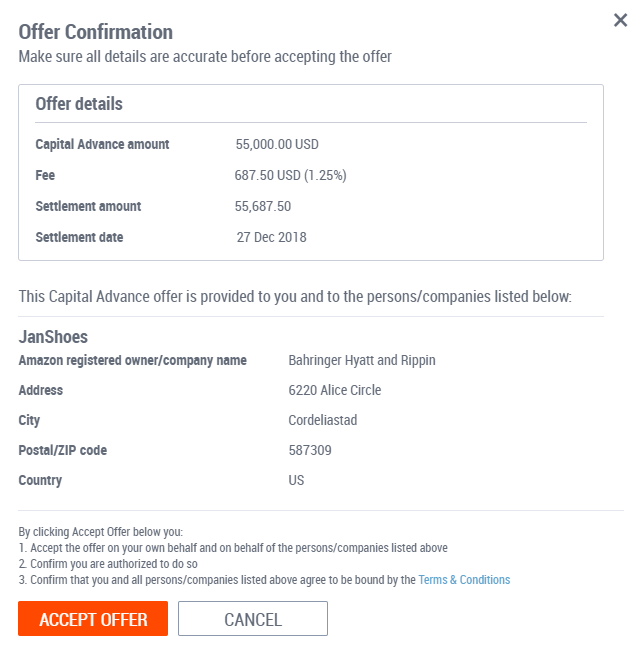 Sign in to Payoneer and select Receive > Capital Advance, or click VIEW OFFER in the email you receive, to view your Capital Advance offers. 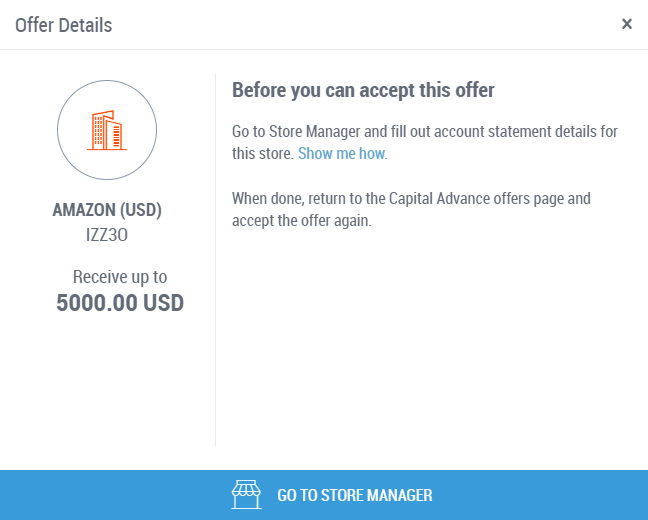 Amazon sellers: When accepting an offer for a store, if you have not yet completed account statement details in Store Manager for that store, you’ll be asked to do so. Read how. Enter the Capital Advance amount you’d like to receive, up to the indicated maximum. Get your Capital Advance by clicking ACCEPT OFFER. Amazon sellers: Click NEXT to review the offer details and then ACCEPT OFFER. 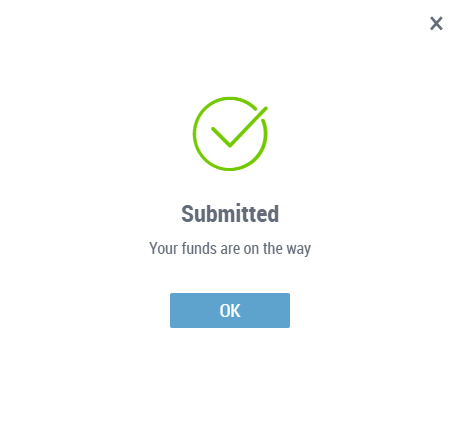 We’ll let you know that your funds are on the way. You’ll see the funds in your Payoneer balance within minutes. From the moment you receive the Capital Advance, the funds are available to you to make payments with, to withdraw, etc. On the Capital Advance settlement date, we automatically deduct the settlement amount, including the fee. We recommend that you read the Terms & Conditions associated with your Capital Advance. These are different for Wish sellers and for Amazon or TopHatter sellers. For more details on receiving and settling a Capital Advance and about the fee, see our Capital Advance FAQ.